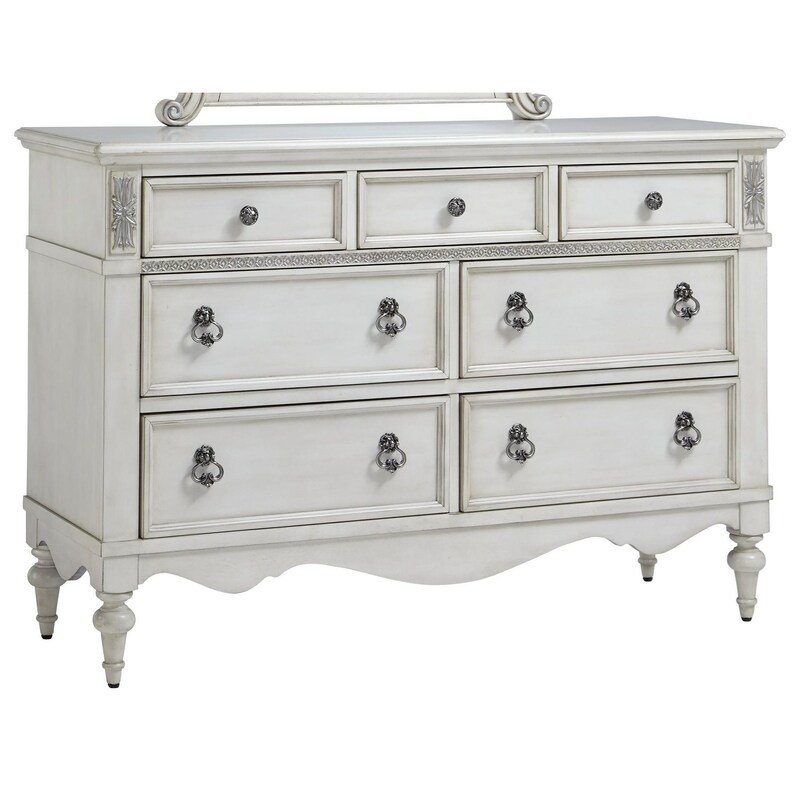 With seven drawers and charming traditional details, this dresser will be a stylish and useful addition to any bedroom. The dresser sits on elegant turned feet and is ornamented with flat pilasters, lace filigree, and beveled drawer fronts. Pair with the matching mirror and bed from this collection to create a delightful set for a youth bedroom. The Giselle Traditional Seven Drawer Dresser by Standard Furniture at Miskelly Furniture in the Jackson, Pearl, Madison, Ridgeland, Flowood Mississippi area. Product availability may vary. Contact us for the most current availability on this product. This youth bedroom set has charming ornamental details such as turned feet, filigree accents, and beveled drawer fronts. The elegant beds have upholstered curving headboards accented with button tufting. This sophisticated bedroom collection makes for a wonderful first real bedroom set. The Giselle collection is a great option if you are looking for Relaxed Vintage Traditional furniture in the Jackson, Pearl, Madison, Ridgeland, Flowood Mississippi area. Browse other items in the Giselle collection from Miskelly Furniture in the Jackson, Pearl, Madison, Ridgeland, Flowood Mississippi area.